When it comes to your special day, you might think that buying a wedding ring is the easiest part; think again! Your wedding ring is the only part of your wedding day that you will physically keep with you from that day until forever and so this is one of the most important decisions you can make. Luckily for you, Jacksons Jewellery have years of experience in making and altering affordable bespoke wedding rings in order to create the perfect style and fit for you. We can make/order rings in Silver, Gold and Platinum. 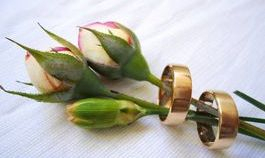 There are Flat, Flat court, Cushion court, Court and D shape style wedding rings. How thick do you want the band to be in millimeters? The average wedding ring ranges from 2mm - 8mm in thickness. You can choose to only have a pattern on the edges or all over. You could also have no pattern at all. 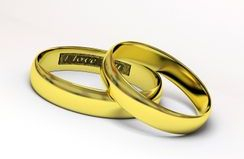 You can have names, dates or anything else engraved inside of your wedding ring. Would you like to have any stones set into your ring? Some people have one and others have multiple. 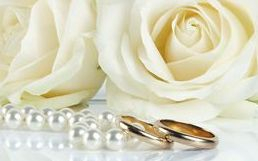 We can also make/order pearl necklaces, bracelets and earrings to complete the traditional wedding day look. Alternatively, we are able to renovate old family jewellery that you may wish to wear for your day instead!